Tangau says Umno should stick to peninsula | Daily Express Online, Sabah, Malaysia. 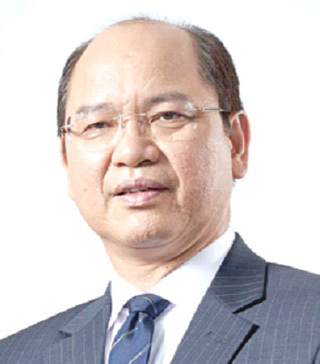 Datuk Madius Tangau (pic) who is acting United Pasokmomogun Kadazandusun Murut Organisation (Upko) President said the party quit Barisan Nasional (BN) to free itself from Umno's grip. "Perhaps by doing so, we have done our part so that Umno can operate in a suitable place – the peninsula," he said. "Just like Sarawak, there is no Umno…furthermore in Sarawak, they applied their own culture, in terms of political and governance. We also want Sabah's culture here…there is no need for Malayan culture to be here." Upko, Tangau said, is now in a more comfortable zone as "they are no longer bullied." "We have been bullied many times…so thankfully, now we have escaped (from BN)," he said. He also urged Parti Bersatu Sabah Deputy President Datuk Seri Dr Maximus Ongkili to stop bashing Upko. "I do not know the reasons behind his continuous criticism. Previously he accused us of being traitors, and now he claimed that Upko was the reason for PBS to be in the opposition fold. "Please stop as the election is long over. Now is the time for us to move on and, together, let's develop the State." The opposition, he said, has its own role which is to become the check and balance to the government. "And on the government's side, we have the responsibility to deliver. As such, stop politicking. "Sabah has a huge development challenge and we need stability to move forward. "We cannot play politics every day." Tangau also stressed that Upko has always sided with the people. "BN has lost in the election where it only obtained 29 seats of 60, and PBS, too, lost as it only won six of the 13 seats it contested. "More importantly, PBS lost in Tambunan and Bingkor…if they won in these two seats, perhaps BN would not lose. "As such it was the people who forced PBS into the opposition, and not Upko. "And for Upko, we hold on to the people's aspiration as based on the popular votes, 60 per cent of the people had voted for the then opposition," he said.